Land Rover Austin has a great selection of pre-owned vehicles. Welcome to Land Rover Austin a premier Land Rover dealership in Austin, TX with new 2019 Land Rover and luxury pre-owned vehicles for sale at competitive prices. Our top priority is to provide exceptional customer care for everyone that visits our dealership. If you’re seeking Land Rover auto parts or need to schedule service for your vehicle, you can count on receiving top-notch treatment from our committed staff. Land Rover Austin has the following new 2019 Land Rover models available: Discovery Sport, Range Rover, Range Rover Sport, and Range Rover Evoque. Browse our complete inventory to find a Land Rover that catches your interest. To schedule a no-obligation test drive call our sales team at 888-450-9149. We’ll have your selected vehicle ready to drive when you arrive at our showroom. 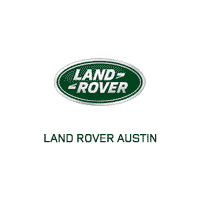 Land Rover Austin is conveniently located at 1515 West 5th Street, Austin, TX 78703. We proudly serve the following areas: Westlake Hills, Round Rock, Cedar Park, Pflugerville, Barton Creek & Bee Cave, Jollyville, Anderson Mill, Lakeway, Kyle, Leander, Georgetown, Taylor, Lockhart, San Marcos, Canyon Lake, New Braunfels and Seguin, Texas. Come in today to pick out your new Land Rover or quality used vehicle. We have auto financing options and lease specials available to fit your monthly budget. Thanks for checking us out online, we look forward to meeting you while providing a remarkable automobile shopping experience.